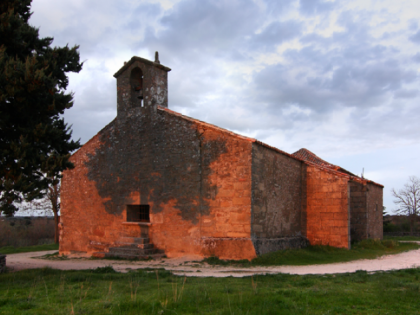 Within the walled area of Yecla la Vieja, there is a hermitage dating back to the Late Romanesque period. Even though the beginning of the construction coincides with the early part of the 13th Century, it is believed that during the time of the Catholic Kings, the temple acquired its current image. 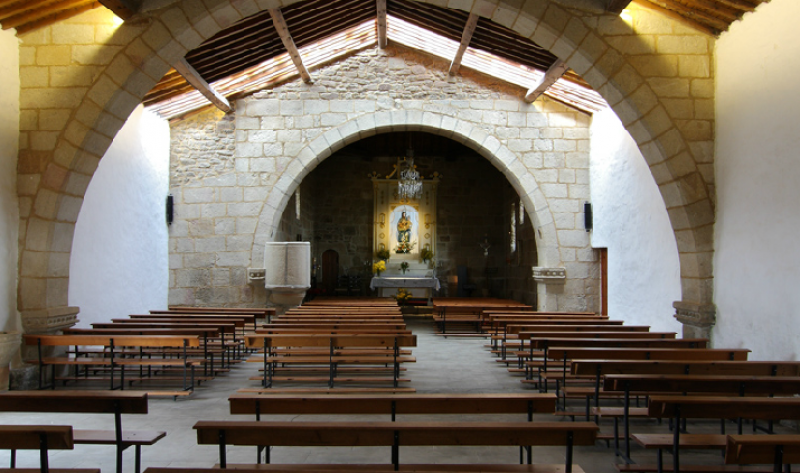 The East End, the oldest area of the church, is quadrangular and is accompanied by a single nave with three sections separated by Late Gothic arches. The sacristy is located to the south while there is a doorway on the northern facade. 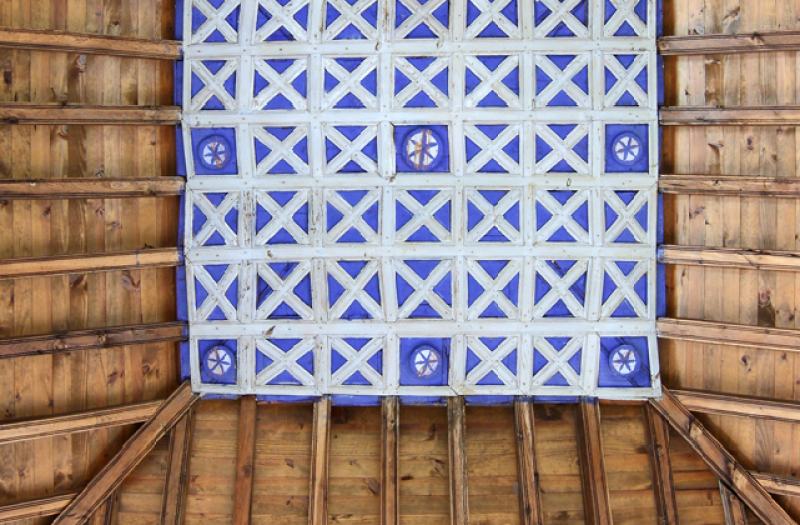 In the exterior, the eaves conserve eight corbels and there is a small bell cote at the foot of the church. In reference to the materials, granite masonry and rough ashlars were used in the construction. However, the simplicity of the construction is its most notable characteristic. What is surprising, though, are the Roman funeral steles with a piece possessing engraved features of a horse. This is a theme that is found throughout the primitive wall. 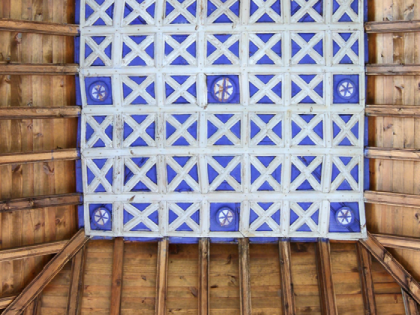 The intervention in the building consisted mainly in the reroofing of the building, the replacement of the windows for a translucent plaque that filters the entrance of light while keeping the homogeneity with the remaining tiled roof. Besides this, the carpentries have been renewed with the objective of guaranteeing the hygrothermal conditions in the building and facilitating its ventilation. 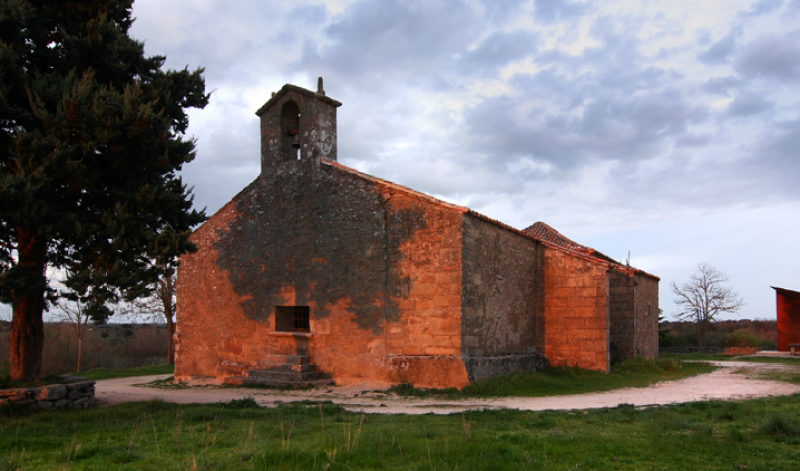 The church has been included in the Heritage Monitoring System MHS, developed by the Fundación Santa María la Real del Patrimonio Histórico, which allows the control of certain environmental parameters, with the objective of guaranteeing the preventive conservation, both of the building and its movable property. The electric system has also been replaced. The installed system is powered through photovoltaic plaques, placed in the exterior of the church, with no need for conexion to the general network. This aspect guarantees the energetic efficiency of the building and constitutes an important economic saving for the parish. 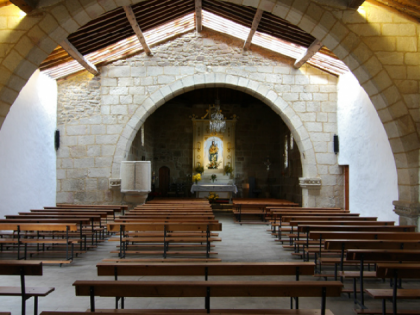 The new lighting is, furthermore, more appropriate for the characteristics of the church and complies with two main functions: it facilitates the development of the cult and highlights some artistic and architectural elements.